Saltwater Ich or White Spot Disease is caused by an infestation of the ciliated protozoan Cryptocaryon irritans. Although just like the ich organisms Oodinium (Marine Ich, Velvet or Coral Fish Disease) and Brooklynella (Clownfish Disease) that also become parasitic to fish at one stage in their life cycle, Crypto progresses less rapidly. If detected early and treated promptly upon an outbreak, the chances of recovery are high. However, in a closed aquarium system, it can reach overwhelming and disastrous numbers just the same if it is not taken care of. Free-swimming cells called tomites are released from a mature tomont, or encrusted cyst, and go in search of a host fish, typically dying in a day or two if one is not found. Upon finding a host the tomites attach to the gills or body and develop into parasitic trophonts, at which stage the organisms burrow into the fish and begin feeding on its tissues. Once well fed the trophonts stop feeding and encyst, at which stage they become inactive tomonts. These dormant cysts can remain trapped in the fish's mucus, be embedded deep in the tissue, or drop off and fall to the bottom. Over a period of 6 to 10 days the cells inside the cysts reproduce by single-cell division and become tomites. Once reaching maturity the cysts rupture, each releases hundreds of new free-swimming tomites, and the cycle begins again, but in much larger numbers. Unlike Oodinium and Brooklynella that typically attack the gills first, which allows these ich diseases to advance into life-threatening levels quickly as they go unnoticed, Cryptocaryon usually appears at the onset as salt-sized white spots visible on the body and fins of a host fish, and when the organisms become parasitic, it is then that they move inwards to the gills. Because crypto is more easily recognized in its beginning stage, this makes it much easier to treat and cure before it gets out of control. Aside from the appearance of the white spots, fish will scratch against objects in an attempt to dislodge the parasites, and rapid respiration develops as tomonts, mucus, and tissue debris clogs the gills. Fish become listless, refuse to eat, loss of color occurs in patches or blotches as the trophonts destroy the pigment cells, and secondary bacterial infections invade the lesions caused by the trophonts. Although copper is very effective on Oodinium, and it works well to eliminate crypto organisms in their free-swimming tomite stage, it is not as effective on the Cryptocaryon trophonts that burrow deeply into the tissues of fish. A combination of freshwater and formalin treatments administered by means of dips, baths, and prolonged treatment over a period of time in a QT is recommended. Reinfection will occur no matter how effectively the fish have been treated if Cryptocaryon is not eradicated from the main aquarium, which can be accomplished by keeping the tank devoid of any fish for at least 4 weeks. 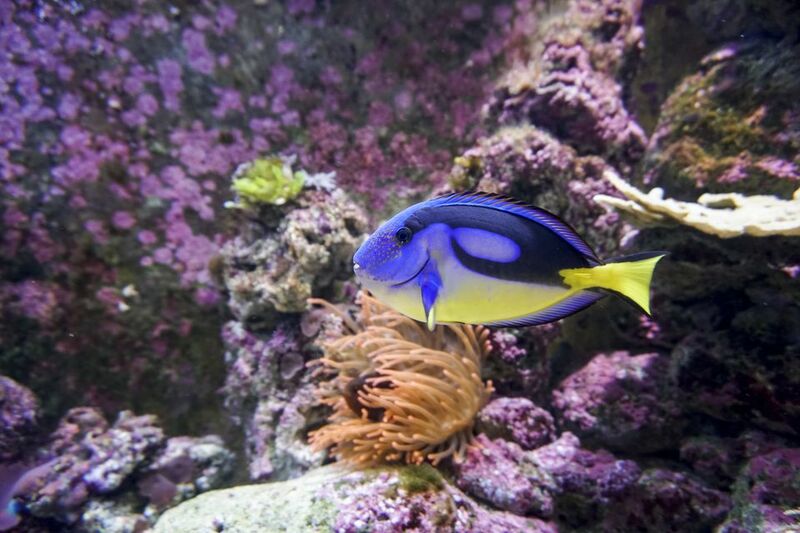 For fish-only aquariums, hyposalinity can be applied, and to speed up the life cycle of the organisms, elevate the tank reef aquariums, Ruby Reef Kick-Ich and Chem-Marin Stop Parasites are "reef safe" formulated treatments that specifically target the Crytpocaryon organisms. Several days prior to returning fish to the main aquarium, clean all filtering equipment, change any filtering materials, and perform a water change. Porous materials such as sand, gravel, rocks, and ornaments can absorb medications. To better control the strength and effectiveness of any product you are using, it is best to use a bare QT with only some cut pieces of PVC tubing in the tank to provide shelter for the fish during the treatment period. Although many over-the-counter remedies contain the general name Ich or Ick, carefully read the product information to be sure it is designed to specifically target and treat "Cryptocaryon".